Former England all rounder Andrew Flintoff also known as Freddie registered his maiden victory in his debut bout against American Richard Dawson. The bout was fought in Manchester. He was knocked down in the second round but kept his composure and fought bravely to win by a narrow margin. Some of the influential in the British boxing had opposed the decision to grant Flintoff the licence to fight and had declared the fight as a publicity stunt and a joke. However, there were many who were cheering for him. One of them was his international team-mate Darren Gough. 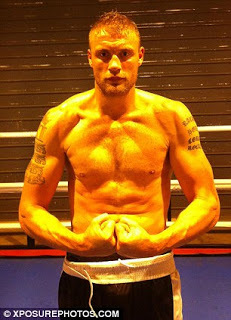 Flintoff was trained rigorously by Barry and Shane Mc Guigan for five months and had lost quite a few ponds. He gave the home crowd some stuff to cheer for in the first round as he landed few clean punches to the American. He recovered from knock down in the second round to win the third and fourth rounds and was declared winner by a point’s win of 39-38. It was Dawson’s first defeat. The crowd was cheering for the local man like mad. Flintoff later admitted that it was the crowd that made the difference. Flintoff declared the win as his best personal achievement. He would think about his future after Christmas and dedicated his win to his trainers.